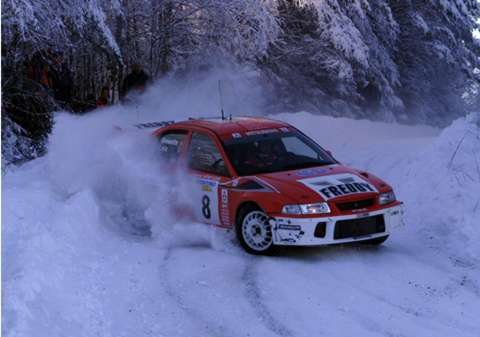 Every round of WRC is unique but Swedish Rally is one of the truly unique events, being the only winter event of the series. One might think that rally over snow and ice would mean extremely slippery conditions. Use of very narrow tyres coupled with impressive studs however provide lots of grip. So much that drivers reckon it to exceed that of most gravel rallies, even. Another specialty of the event is the proper use of snow banks. Driver can enter bends with considerable speed and lean the rear of the car to a snow bank. If executed properly, the snow keeps the car on the road. Plough into snow bank head-on or at incorrect angle and you end up digging the car out. For a first-timer judging the amount of grip and proper leaning on snow banks is formidable challenge. It is no wonder that driver outside Scandinavia did not managed to win the event until Sebastien Loeb broke the spell in 2004. From time to time event has had problems with weather conditions. Mid-winter date has not always assured frozen roads and event has been under pressure to move northward to guarantee snowy conditions. 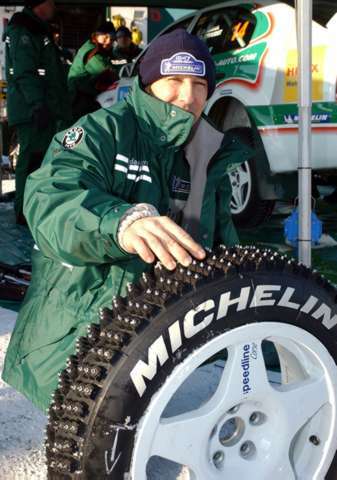 Studded tyres wreak havoc on roads if they are not frozen and warmer the weather, the more repairing the roads will cost to the organisers. In 1990 lack of snow forced the cancellation of the event.